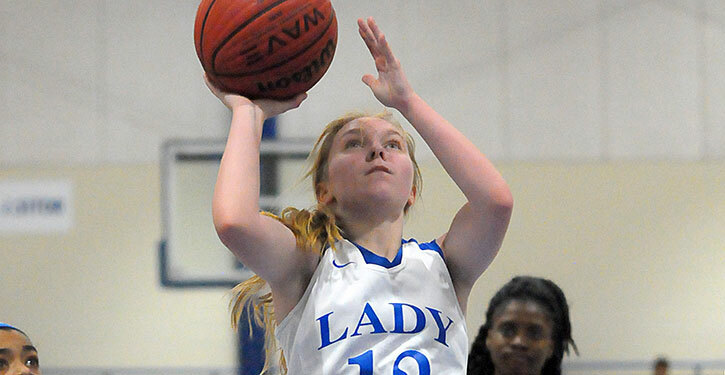 For just over three quarters on Monday night, the Bryant Lady Hornets freshman team may have played their best basketball of the season against the North Little Rock Lady Charging Wildcats, one of the top teams in the Central Arkansas Junior High Conference. With 4:50 left in the game, after Addison Funk hit a 15-foot jumper, the Lady Hornets trailed the Lady Cats just 24-23. That’s when the Lady Cats intensified their full-court press, got a little more physical and took control of the game. Bryant never scored again and wound up on the south side of a 36-23 game. The Lady Hornets, now 4-14 overall and 3-9 in conference play, had a chance to upset North Little Rock, now 10-2 versus the league. Though they struggled at the free-throw line, the aggressiveness of the Lady Cats, attacking the basket, resulted in 26 free-throw attempts. They converted just 12 but that was twice as many points as Bryant got at the stripe. Despite North Little Rock’s aggressive defense, the Lady Hornets finished just 6 of 9 at the line. North Little Rock got a few more shots from the field as well as a result of a 24-23 edge on the boards. 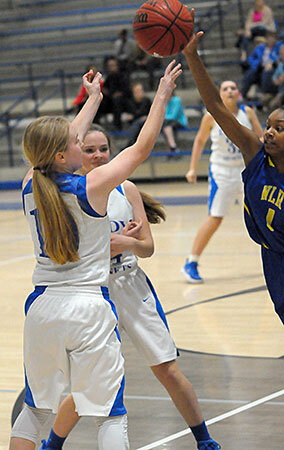 The key was that 13 of the Lady Cats’ caroms were at the offensive end. Through three quarters, too, Bryant took care of the basketball, suffering just nine turnovers. That total doubled in the fourth quarter when North Little Rock wore down the Lady Hornets. 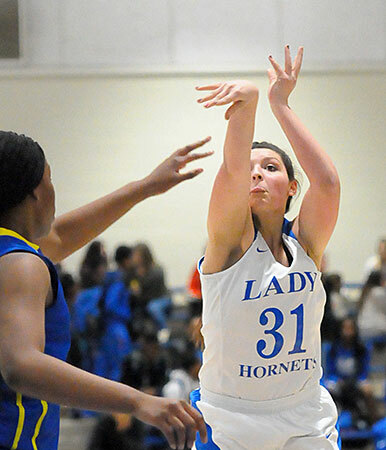 Ashton Inman led the Lady Hornets with 6 points off the bench. Kaitlyn Weng had 5 points and Lauryn Taylor 4. Abbey Inman, Ryleigh Laughlin, Rachel Buck and Funk each had 2 points. On Buck’s basket and a jumper in the lane by Taylor, two new starters for the Lady Hornets, Bryant led 4-2 early. By the end of the quarter, North Little Rock had managed to take a 5-4 lead but it was a struggle. The Lady Cats scored first in the second stanza, but Ashton Inman hit two free throws to make it a one-point game again. The teams traded baskets then, after North Little Rock missed four free throws on back-to-back trips, Abbey Inman converted a pair to tie the game at 10. In the final :14 of the half, North Little Rock wound up getting six free throws but made just three and the teams went to the locker room with the Lady Cats clinging to a 13-10 lead. To start the second half, North Little Rock’s 6-2 post player scored 2 of her game-high 12 points only to have Kaitlyn Weng answer with the only 3-pointer of the game for either team. With Bryant trailing 16-13, Ryleigh Laughlin was fouled on a three-point try. She converted twice at the 4:28 mark to make it a one-point game again. And when Weng scored again with 3:26 left in the quarter, Bryant had taken a 17-16 lead. North Little Rock scored the next 5 points to regain the upper hand but Ashton Inman fed Taylor for a basket and, after the Lady Cats scored, Inman drove for a basket to make it 23-21 going into the final period. After a Lady Cats’ free throw, Funk canned her jumper from the wing to make it a one-point game. North Little Rock continued to pound the ball inside, the turnovers mounted and so did the lead down the stretch. 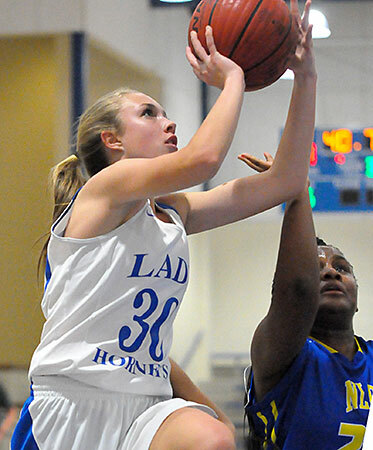 The Lady Hornets are in the midst of a rugged stretch against the top teams in the conference. 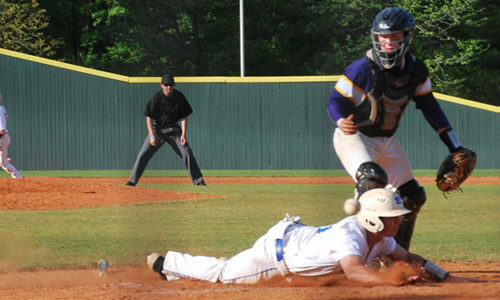 They played second-place Lake Hamilton last Thursday and third-place North Little Rock on Monday. 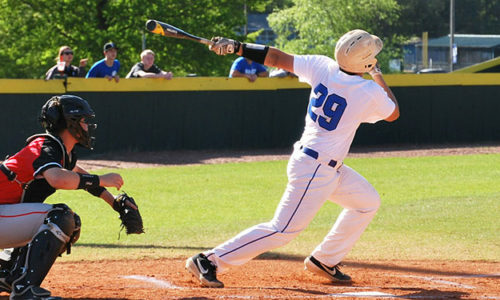 This Thursday, they’ll head to Conway to play the first-place Blue Lady Cats. Foster 0-1 1-2 1, Marks 1-6 2-4 4, Fimple 2-6 1-2 5, Duckworth 1-8 6-14 8, Williams 5-7 2-4 12, Lowery 1-4 0-0 2, Morgan 1-1 0-0 2, Harris 0-1 0-0 9, Vick 1-3 0-0 2. Totals 12-37 (32%) 12-26 (46%) 36. Ka.Weng 2-5 0-0 5, Kr.Weng 0-4 0-0 0, Jackson 0-2 0-0 0, Buck 1-2 0-0 2, Laughlin 0-1 2-3 2, Ab.Inman 0-0 2-2 2, As.Inman2-4 2-4 6, Taylor 2-3 0-0 4, Funk 1-2 0-0 2, Brown 0-0 0-0 0. Totals 8-23 (35%) 6-9 (67%) 23. Three-point field goals: Bryant 1-7 (Ka.Weng 1-2, Kr.Weng 0-2, Laughlin 0-1, Buck 0-1, Funk 0-1), North Little Rock 0-5 (Lowery 0-2, Fimple 0-2, Marks 0-1). Turnovers: Bryant 18, North Little Rock 8. Rebounds: Bryant 6-17 23 (Jackson 0-3 3, Taylor 0-3 3, Funk 1-2 3, Buck 2-0 2, Ka.Weng 0-2 2, As.Inman 0-2 2, Kr.Weng 0-1 1, Ab.Inman 1-0 1, team 2-4 6), North Little Rock 13-11 24 (Duckworth 5-3 8, Williams 3-3 6, Harris 2-3 5, Marks 2-0 2, Fimple 1-0 1, Lowery 0-1 1, team 0-1 1). Team fouls: Bryant 14, North Little Rock 15. Fouled out: North Little rock, Williams. Technical foul: Bryant, Coach Castaldi.